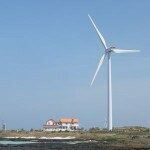 Do wind farms impact real estate value ? A substantial growth in wind energy is expected in France in the coming years. Among concerns about wind turbines, their potential impact on the valuation of nearby properties is often raised. Is there any truth behind this ? Real estate appraisal is influenced by several criteria. Some are objective, others more subjective. A part of the latter relates to the vicinity of the property, including the actual or potential existence of a wind farm. Several independent studies – covering hundreds or even thousands of real estate transactions close to wind farms – have been carried out across the globe. In France, such studies include surveys among real estate professionals. They usually conclude on a limited impact in terms of affected properties and negative consequences, some even showing the lack of any quantifiable negative impact. How much CO2 is emitted to produce a kWh of French electricity ? Does the German nuclear phase-out actually increase CO2 emissions ?